Columbus, Ohio [January 24, 2018] – Vertiv, formerly Emerson Network Power, has reached an agreement to purchase Lincoln, Nebraska-based Geist, a privately owned manufacturer of Rack Power Distribution Units (PDUs) and associated data center products. 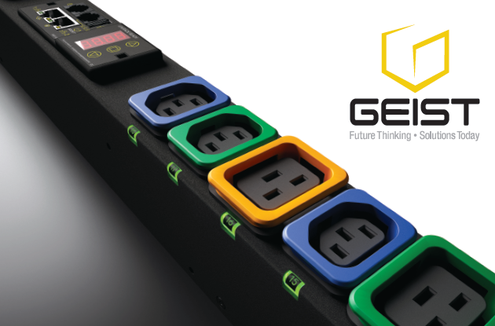 Geist is a market leader in Rack PDU products and has a broad portfolio of data center power, cooling, monitoring, and infrastructure management products that complement Vertiv’s own line of intelligent Rack PDUs. The acquisition will add engineering and design capabilities with patented Geist technologies, expand access to the channel, and solidify Vertiv as a global leader in the data center Rack PDU space. The announcement of the Geist acquisition comes just a week after Vertiv announced the acquisition of Energy Labs, a privately owned, San Diego-based manufacturer of direct and indirect evaporative cooling systems. “These acquisitions represent a significant investment in our business and signal our intent to pursue an aggressive strategy for growth,” Johnson said. Vertiv designs, builds and services critical infrastructure that enables vital applications for data centers, communication networks and commercial and industrial facilities. Formerly Emerson Network Power, Vertiv supports today’s growing mobile and cloud computing markets with a portfolio of power, thermal and infrastructure management solutions including the Chloride®, Liebert®, NetSure™ and Trellis™ brands. Sales in fiscal 2016 were $4.4 billion. For more information, visit VertivCo.com. ©2018 Vertiv Co. and DKSH Japan All rights reserved.